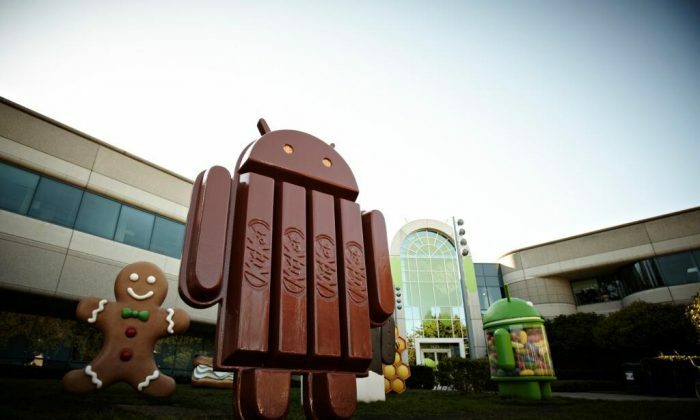 Android KitKat 4.4.3: HTC One M8, Samsung Galaxy S5, Galaxy S4 to Get Update? Android 4.4.3 KitKat has been rolled out for the Google Nexus 10, Nexus 7, Nexus 5, and Nexus 4, but Google appears to be primed to roll it out for other devices, including the HTC One M8. The OS is available also for the Moto X, Moto G, and Moto E as well. According to Gotta be Mobile, Google is rumored to be preparing an update for the Samsung Galaxy S5 and Samsung Galaxy S4. The rumors say 4.4.3 KitKat will come to the Galaxy S5 in June and the update will be released for the Galaxy S4 LTE-A model in July. The 4.4.3. KitKat release also might come to the HTC One M8 and One M7, but it’s unclear when. HTC leaker LlabTooFeR wrote on his website that the updates would come in May or June, which has yet to be confirmed. LlabTooFeR said the HTC One M8 is still being tested out. “Some love for M7 users (based on official 4.4.3 build), coming soon 😛 ,” he wrote on Twitter on Wednesday morning. He posted a screenshot saying the software number is MaximusHD 42.0.0 and the HTC SDK API level is 6.25. NEW YORK (AP) — New tablet computers from Samsung will feature screens that are richer in color than standard LCDs. These screens, known as AMOLED for active-matrix organic light-emitting diodes, are already found in smartphones made by Samsung and a few other manufacturers. But until now, tablets haven’t used them because larger AMOLED screens are more difficult to produce. Samsung Electronics Co. is trying to change that with its upcoming line of Android tablets, called the Galaxy Tab S. On Thursday, Samsung announced two such models, with screens of 8.4 inches and 10.5 inches, as measured diagonally. The tablets will start selling in the U.S. in July at $400 for the smaller model and $500 for the larger one — the same as comparable iPads. Models with 4G LTE cellular access are expected later in the year. Samsung is the world’s second-largest maker of tablets, behind Apple and its trend-setting iPads. In recent years, Samsung has been gaining market share — at Apple’s expense — by offering a wide range of sizes and quality. Earlier this year, it unveiled a “Pro” brand aimed at professionals. The “Tab” brand has been used onSamsung’s budget tablets and don’t come with a stylus, as Samsung’s “Note” tablets do. With the new screens, Samsung is elevating the Tab line to become its flagship tablet. Besides producing richer colors, AMOLED allows tablets to be thinner and use less power because screens typically don’t require backlighting. But IHS analyst Sweta Dash said the performance gap between AMOLED screens and regular LCDs has narrowed, while AMOLED screens can cost 10 to 30 percent more to make. Samsung does have the advantage of making its own screens, and the South Korean company can afford to reduce profit margins on tablets if that boosts volume and reduces costs on the screen-production business. What it learns from making tablet screens might even help it one day make affordable AMOLED television sets. Samsung did release an AMOLED tablet in 2012, but it was expensive and didn’t sell well. The new ones will be priced more competitively. The tablets are a quarter of an inch (6.6 millimeters) thick, which is thinner than iPads. The smaller version is also lighter than the iPad Mini, while the larger one is about the same as the iPad Air. The new tablets will sport displays of 2,560 pixels by 1,600 pixels, matching what’s found in the Pro series. By comparison, Apple’s iPad Air is at 2,048 pixels by 1,536 pixels. Apple markets its displays as “Retina” and doesn’t believe more pixels will necessarily be discernible to the eye. Apple is expected to refresh its iPad lineup this fall. Until now, iPad rivals have succeeded largely by undercutting Apple on price, and better hardware hasn’t been enough, said Rhoda Alexander, director of tablet and monitor research at IHS. AMOLED screens could change that, she said, because colors will pop out when compared side by side at a Walmart or a Best Buy. The new tablets will also let people make calls when a Samsung phone is nearby and to unlock the device with a fingerprint. The tablets can support up to eight user profiles, so members of a household can get separate home screens simply by swiping their finger on the sensor.